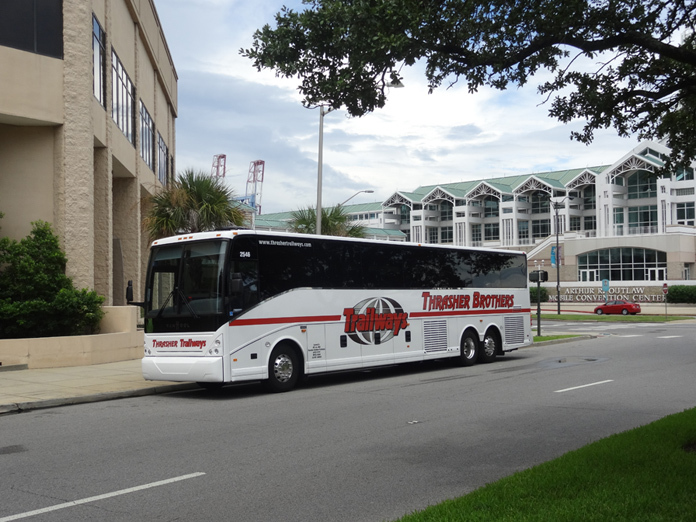 Group Travel on a Rental Charter Bus with Thrasher Trailways is one of the safest forms of travel available. 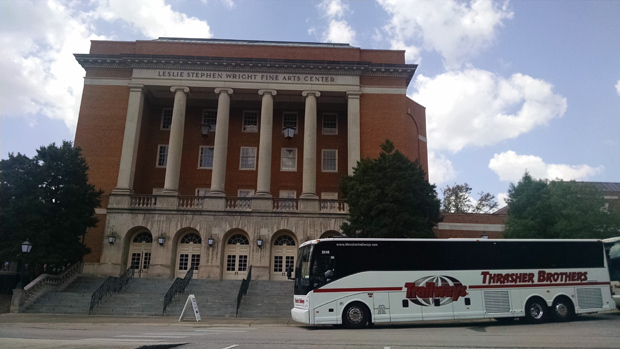 As a Group Leader, it is important that you know about the Bus Company in Birmingham that you are choosing for your Charter Bus Rental. Others are expecting that you have taken the time to not only find a motorcoach company that will fit in your budget, but more importantly will choose a company that has a safety record you can count on. There is more information under our Safety Tab. We are proud of our Maintenance Center that is connected to our offices and we welcome you to visit our facility before making your group travel choice. For a quote, please fill out the form below and we’ll contact you. Yes I would like to receive newsletter and email promotions. Thrasher Trailways has been the preferred motorcoach supplier for Worldwide Travel and Educational Tours for twenty years. They provide excellent customer service and consistent quality for the hundreds of charters we book each year. We always know what we’re getting with Thrasher Trailways – a clean, late-model bus with a friendly and courteous driver. We’re looking forward to the next twenty years!